Children grow fast and as they grow there will come a time when they will require a pillow to keep them relaxed throughout the night.A toddler pillow is designed with the sole purpose of providing your child with a good night sleep. 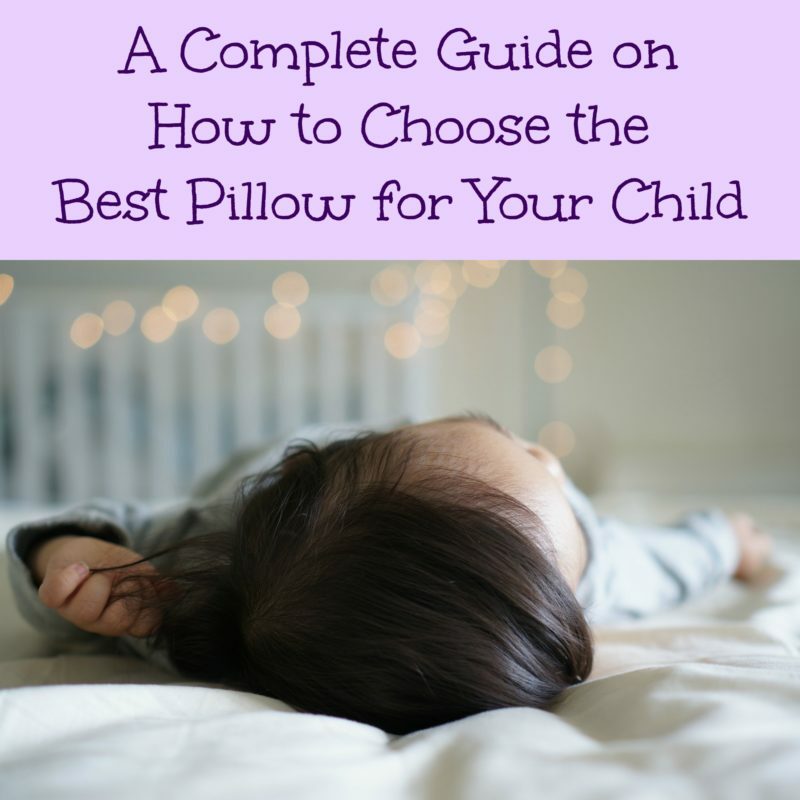 This guide will help you understand how to choose the best fitting pillow for your baby – not just the color, shape or size but the details of how it’s made and what material is used. Why can’t your toddler use a regular pillow? If you are new to the child pillows, you may be wondering why your toddler cannot simply use your extra pillow.A regular pillow is designed to provide support to the head and neck of a grownup. A toddler does not have equal proportion as an adult.Allowing the toddler to use this kind of pillow will place unnecessary strain on their little necks and shoulders.If this strain is continuous, it only leads to sleepless nights and poor body posture. These pillows have been designed around the baby’s proportions, which allows the child to enjoy a comfortable sleep while allowing the rest of the body to develop with the right kind of support. When do you introduce the toddler pillow? The best time to give your little one a pillow is when you transition them into a toddler bed, maybe around the age of 18 months onwards.Though it varies from parent to parent, a pillow is a great addition to the big bed that might attract the child to the transition. Each child develops very differently and therefore, the best advice is to introduce this pillow when you find it fit but at least not before 14 months are over. Know your child’s allergic reactions – Do not buy a pillow made from a material that your child is allergic to, this will only aggravate the allergy and cause sleepless nights.Buying an organic pillow makes it safe for your child.The organic pillows do not cause allergic reactions because they are made from 100% organic material. Satisfaction guarantee – Most pillow manufacturers offer a satisfaction guarantee ranging from 90 days up to 3 years. Satisfaction guarantees varies from brand to brand but it covers the common problems of torn seams, loss of shape etc. Firm or soft – This is where most parents fail to strike a balance between support and comfort.To test for softness, press down a pillow and if it does not regain its shape, then it’s too soft.This too soft pillow is a health hazard as it can easily suffocate the child.To check for hardness, press down the pillow and if it does not move at all, then it’s too hard for the child.Get one that is average, neither too firm nor too soft. Pillow cover material – Be mindful of choosing the right pillow cover.Most are made of cotton material but be wise and chose organic cotton that has no bleaches, toxins, and dyes that can be harmful to your child’s health.